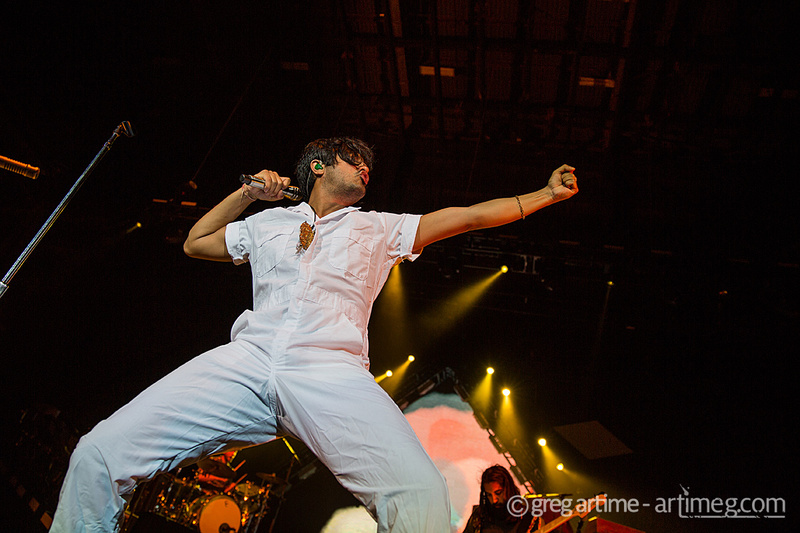 Young the Giant photo by Greg Artime. 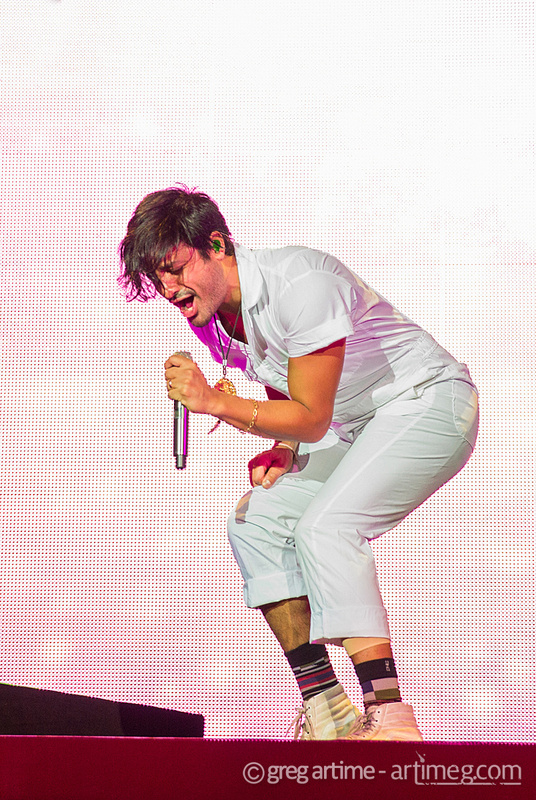 It was a night of indie rock on Friday, August 4th at the Hollywood Casino Amphitheater in Saint Louis as Young the Giant slayed the crowd with their performance. 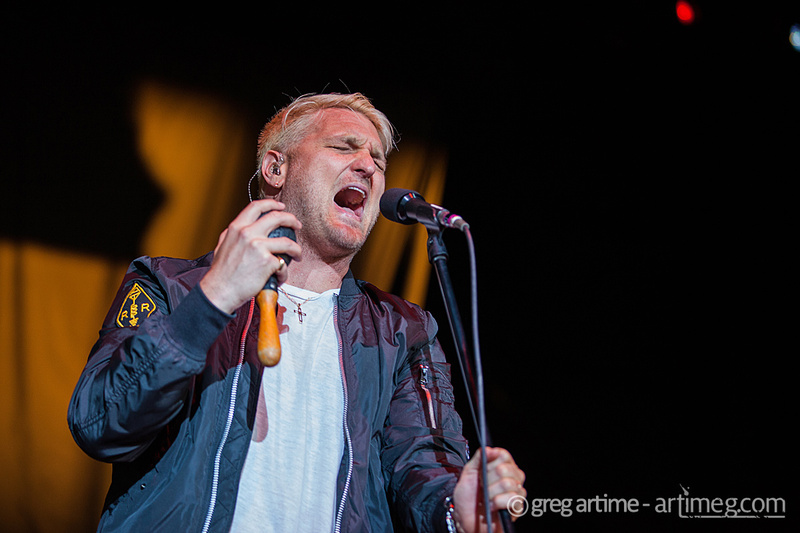 An eclectic crowd gathered for an evening of alternative rock as Bob Moses, Joywave, K. Flay, Cold War Kids, and Young the Giant played the main stage of the huge venue. 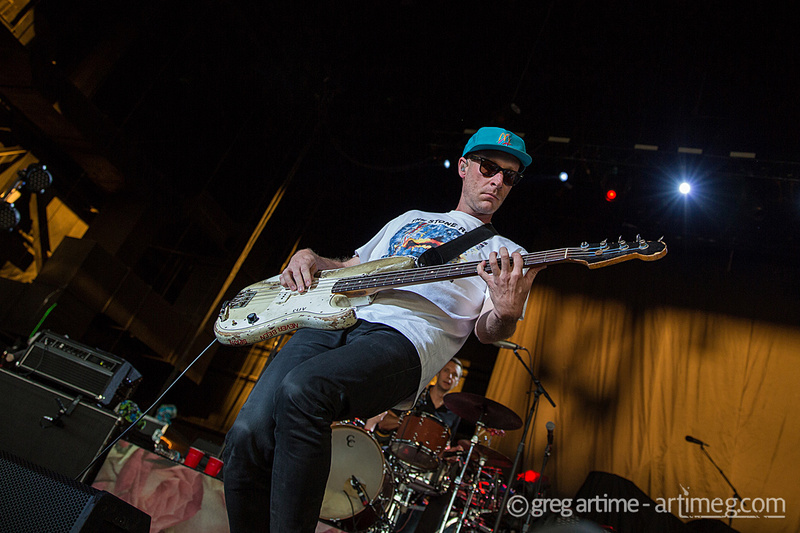 Cold War Kids photo by Greg Artime. The night was more low-key than usual, as the lawn was shut off and the seated areas were packed in anticipation of the performances. Even though half of the venue was closed, the fans showed up in droves and energetically welcomed the groups to St. Louis. Much of the anticipation was for the two larger acts of the night: Cold War Kids and Young the Giant. Cold War Kids opened for Young the Giant, and as a fan of their music I was excited to see what the band could bring to a live performance. Their music has a unique sound that’s very appealing, especially when coupled with the distinctive vocals of lead singer Nathan Willett. While I enjoyed the overall performance from the group, there were some elements of their set that distracted away from their playing. 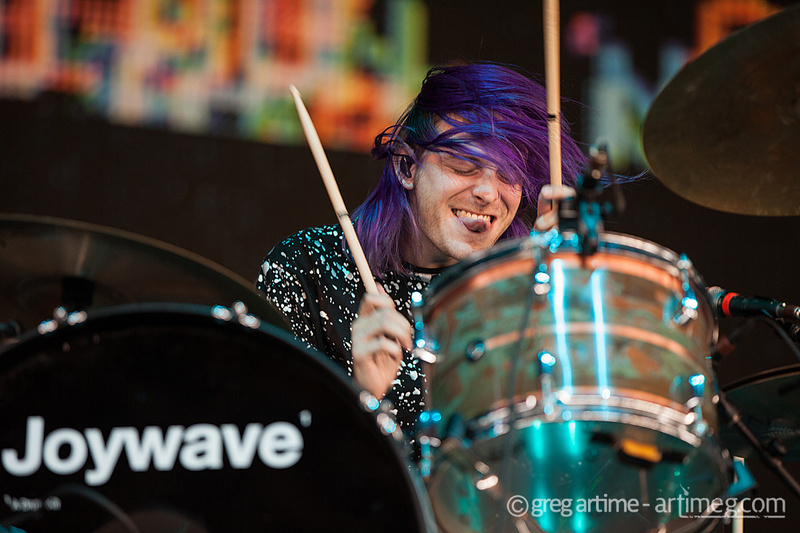 Joywave photo by Greg Artime. Nathan Willett’s voice, while still powerful and soulful live, seemed to become strained towards the end of the set. He gave his all during every song, but his vocals needed to be tighter to have more of an impact throughout the entire show. 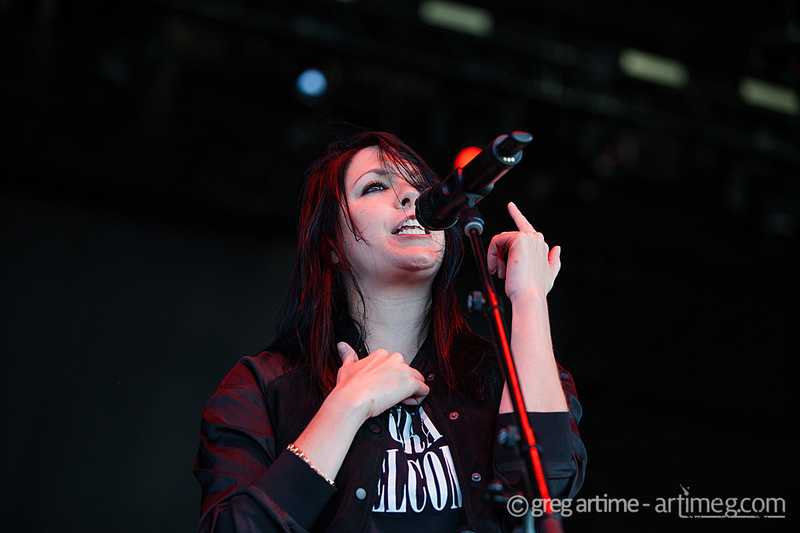 K Flay photo by Greg Artime. Another aspect of their performance was the stage presence of the group. 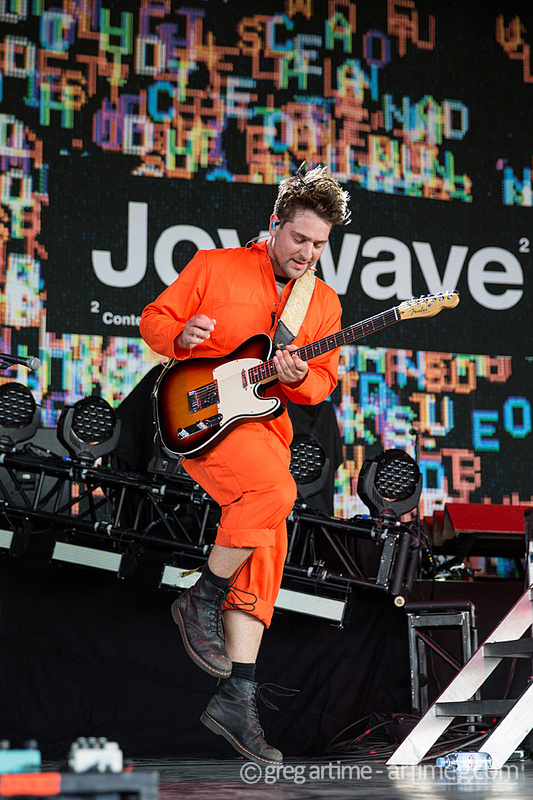 While the band members seem to have a good time engaging with each other, there were times when they focused more on jamming (with their backs to the crowd) than acknowledging the audience or bringing that same energy to the fans. My impression from their performance was that Cold War Kids would be better seen in a smaller, more intimate venue. The amphitheater requires a tighter, more controlled presence, and I really think that a smaller venue would highlight the best features of this band. The headlining band for the night was Young the Giant, an indie rock group formed in Irvine, California in 2004. Not knowing what to expect from this band, which has played in festivals like South by Southwest and Lollapalooza, I was seriously impressed by the cohesive and energetic performance from the entire group, especially the mesmerizing singing from vocalist Sameer Gadhia. Listening to lead singer Sameer Gadhia’s voice was like listening to the human equivalent of a unicorn. (Yes, I know unicorns can’t sing, but you catch my drift.) As impressive as his vocals were, it was his engaging and magnetic stage presence that really got the audience’s energy up. The rest of the band was more understated and restrained, but Gadhia’s dynamic singing and dancing across the stage kept fans pumped up throughout the entire show. Something surprising about Young the Giant is that they sound even better live than they do in a studio setting. By that I mean that all of the elements of the performance – vocals, group cohesion, background setting, energy – all of it worked together to create an exceptional experience that transcended what could be done in a studio. 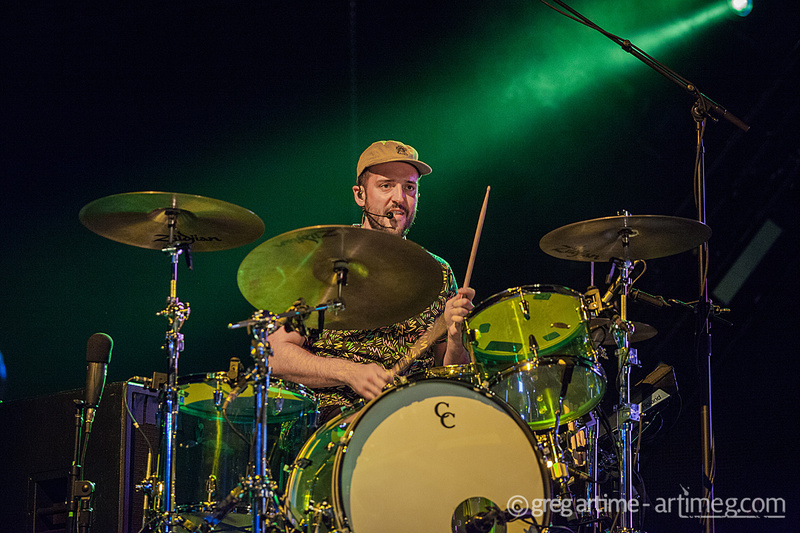 Young the Giant owned the large stage at the Hollywood Casino Amphitheater, and it wasn’t hard to see that their commitment to quality performances has garnered them fans from around the world. If you’re a fan of the more understated rock, be sure to check out the band for their Home of the Strange tour. This group puts on a memorable performance that will leave you wanting more. 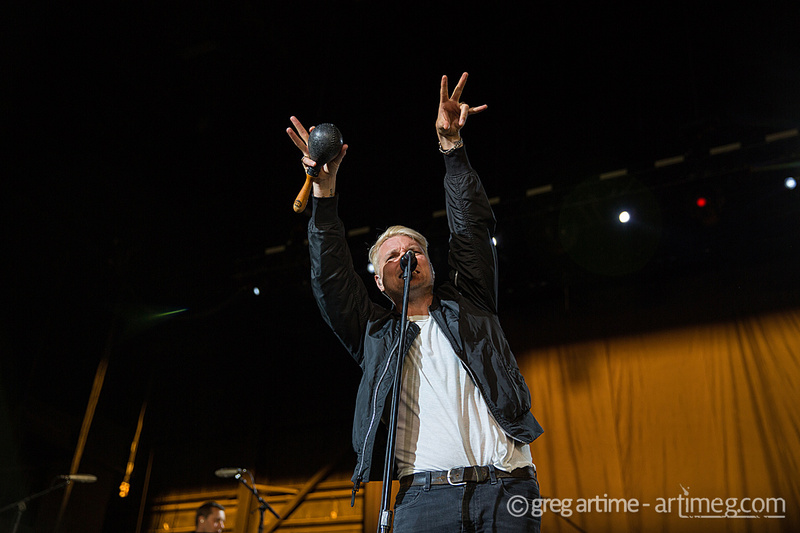 Check out the full gallery of images from the night after the Set List.